Samsung wowed everyone with their latest flagship, the Samsung Galaxy S7. The S7 had lots of improvements making it a powerful, stylish and all-rounder smartphone. However, with the S8 set to be released in February of next year, speculations and rumours are already floating around about what the phone might have. The latest rumours say that the phone will have a 4K screen, 6GB of Ram and even a mini projector. Sources from inside the company also say that this time Samsung will not launch a flat model and that all versions of the phone will have curved screens. In this review, we give try to predict what the phone will be like. Samsung is expected to make a big overhaul in terms of the design of the phone. It is rumoured that they will let go of the home button. Instead, they will integrate the functionality of the button and a fingerprint scanner inside the screen itself. 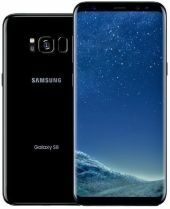 The S8 is expected to use 5.1 inch OLED display. We think that Samsung will finally switch to a 4K display, considering that they went with a QHD panels in the last two phones in the S series. Considering that Samsung is trying very hard to sell VR, having a 4K display will be an advantage. Samsung might stick with its Snapdragon 820 chip, as it already supports native VR. There are wide speculations about whether the phone will have a curved display or not. Inside sources say that they have already ordered a huge number of curved screens. We think that this time, they might not release a flat model and instead make the edge a unique feature just to the S series. It is likely that Samsung will use both an Exynos chip and a Qualcomm chip like it did with its previous models. Both these companies have been rumoured to be working on the 10 nm build process chip which will have improved performances and take less space and use less power. The Snapdragon 830 chip that the phone is rumoured to have will have more than 10% faster speeds than the Snapdragon 820. Even Samsung with its Exynos 8895 chip has been rumoured to have clocked speeds above 4 GHz. Whatever be the chip, the octa-core processor will mean that the phone will run at lightning fast speeds. The phone will also most probably feature a Nvidia graphics chip. The phone is expected to have a huge 6GB RAM and an internal memory of either 64GB or 128GB. Samsung flagships are known for their good advanced cameras. The S& sported one of the best cameras in the market despite having a low pixel count of 12 MP. Samsung is also expected to follow suit with Huawei and Apple and have dual camera sensors to give images more depth and details. Samsung will also probably retain the Dual Pixel technology that gives faster focus time. The phone is also rumoured to be waterproof. It is still not clear whether they will ditch the headphone jack like Apple. The S8 is likely to debut a USB-C type charging port. The USB-C type can transfer more power as compared to the Micro USB ports. This will give it faster charging rates. Also, USB-C type can transfer a multitude of files and run different protocols using the same port. So only one port is needed to run many functions. The size of the battery is yet to be confirmed. What kind of display can be expected in the upcoming Samsung Galaxy S8? According to the online rumours, the phone will boast a 5.8 inch FHD super AMOLED curved edge display that would provide a screen resolution of 1440 x 2960 pixels. The display is also expected to be provided with a Corning Gorilla Glass protection, just like its predecessor. What kind of processor would be provided in the Galaxy S8? According to the online rumors, the phone is expected to feature an Octa-core (4x2.45 GHz Kryo & 4x1.9GHz Kryo) processor mounted on a Qualcomm MSM8998 Snapdragon 835 chipset. What kind of OS will be used in the phone? Will it feature with the latest version of the OS? The phone is expected to run on Android platform and we hope it would feature latest Android version i.e. Nougat. What kind of design is provided for the phone? If we go according to the leaked images online, the design of the phone seems to be promising. The phone might come with a curved design with no physical home button. It is believed that the phone will be powered by a 3000 mAh Li-Polymer battery. No, the battery provided in the phone is expected to be non user-removable. The connectivity options of the phone would include Wi-Fi 802.11, a/ac/b/g/n/n 5GHz, Wi-Fi Direct, Mobile Hotspot, Bluetooth version 4.2, A-GPS, GLONASS, NFC, version 3.1 and Type-C 1.0 reversible connector. Will the Samsung Galaxy S8 support 4G/LTE networks? Yes, the Samsung Galaxy S8 support all 4G/LTE network bands. It has been rumored that the Samsung Galaxy S8 might come with a 12 MP primary camera and an 8 MP front camera. The primary camera shall be backed by Optical image stabilization, Phase Detection Autofocus and dual color dual-LED flashlight. Yes, the phone will come with a fingerprint scanner. The sensor will most likely be installed on the back panel of the phone. It is rumored that the battery would support fast battery charging. Given that the snapdragon 835 processor is being installed, it might support Quick Charge 4.0.